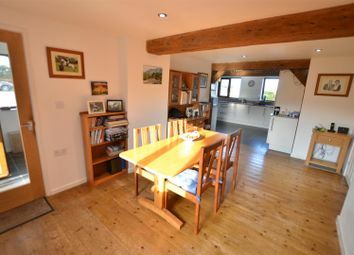 A completely refurbished and modernised detached character home set in 7 acres (*tbv) with a range of excellent equestrian facilities. 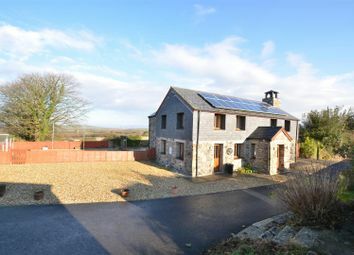 This attractive property will suit those with keen outdoor interests being located in the heart of the Cornish countryside in the hamlet of Cleers enjoying countryside views as well as immediate access to bridleways and country walks. 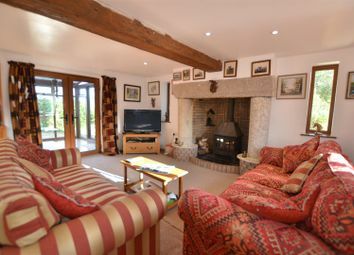 The mid Cornwall position also makes the location ideal for those who enjoy beach life or water sports being equidistant to both the north and south coasts, Newquay, to the north with it’s golden sands and bustling nightlife and the picturesque harbour side villages of Fowey, Charlestown and Mevagissey to the south. For commuting there is easy access to the A30 (T) a few miles away which winds it’s way through Cornwall placing most of the county in reasonable distance and Newquay airport is around 20 minutes drive offering overseas and UK destinations including London Heathrow main terminal and Spain. 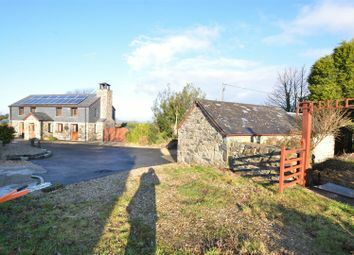 The property occupies a private rural position situated at the end of a 250m long gated post and railed private driveway leading to a spacious parking and turning areas suitable for several cars and a horsebox. 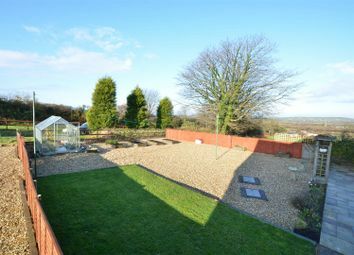 Attractive formal gardens surround the house with a large sun terrace making the most of the views. 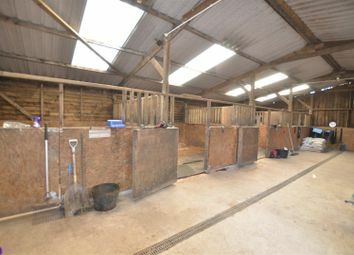 Equestrian facilities/Outbuildings: 40m x 20m post & railed riding arena, large American barn (48ft x 36ft) including 4 stables, tack room, rug room, wash bay and hay store. 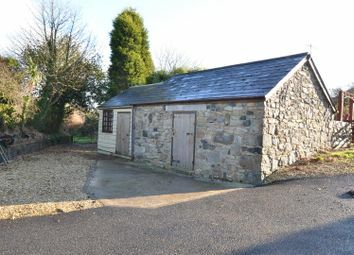 Further large purpose built barn/workshop (40ft x 20ft) currently used for horse box storage (potential for a variety of uses), Brick former stables/store building (scope adapt to ancillary accommodation (Subject to permissions), 6 paddocks. Superb hacking out on the Goss Moor Trail. 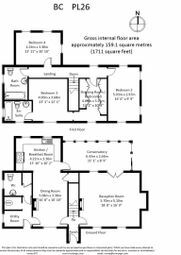 Main american barn - 36ft x 48ft - contains 4 12ft x 12ft stables, 12ft x 12ft tack room, 12ft x 12ft rug room, area for the Farrier/Shoeing. Area for hay. Concrete floor with central drains/Power/Lights/ Water. 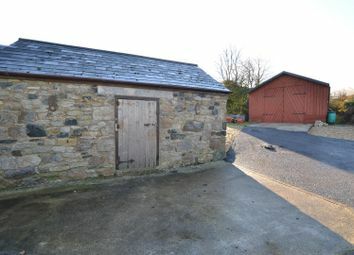 Barn 2 (Currently used as a lorry garage) - 20ft x 40ft - Large timber framed barn with tin roof, concrete floor and further mezzanine floor to one end for further storage. Currently large enough to house a large horse box /capable of assorted other uses. Conduit laid down for power cabling etc. 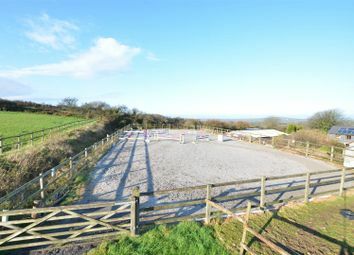 outdoor arena - 20M x 40M Post and railed arena with flock and sand surface, gate to the fields as well as a gate to the stable yard. Hacking out - Across lanes, also over the Goss Moor Trail, St Dennis and the clay country. 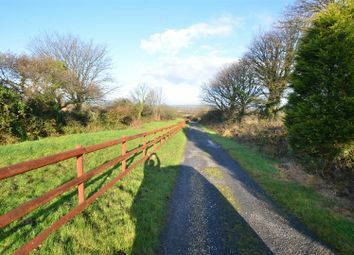 The bulk of the land lies to the rear of the property with post and railed paddocks offering far reaching views over open countryside. In total there are six paddocks. 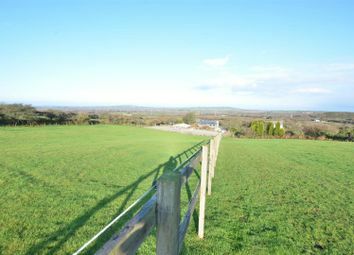 The drive is approx 250m long with an area of grass to the side which leads to the property and the central parking and equestrian complex. The whole sit in approx 7 acres (*tbv). The acreage stated at the property is *tbv – (To Be Verified), which means that the land has not been formally measured by Equus and or its sellers/clients. Where available a Title Plan from Land registry will have been acquired showing the boundary and acreage. Otherwise an online measuring tool will have been used to ‘check’ the acreage where possible. Interested applicants/buyers are advised that if they have any doubts as to the plot size and wish to have verification of the exact area of the entire plot, they will be required to make their own arrangements at their own cost by appointing the services of an accredited company who can measure the area for a compliant Land Registry Title Plan. 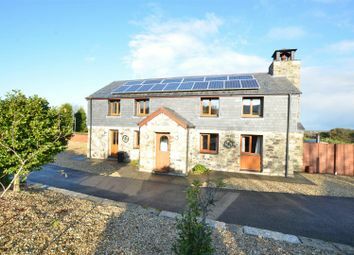 The property enjoys a very private rural position yet is also conveniently placed for local amenities. Roche is one of the nearest villages (around 2 miles) and offers a surprising range of shops and facilities including: A Co-op supermarket, butchers, greengrocer, newsagent, Post Office, 2 country pubs and various take away outlets. A health centre was constructed in the village just a couple of years ago and there is a Primary School. The nearest secondary school is at St Stephen just 6 miles away. 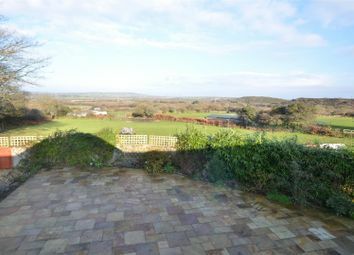 For more comprehensive shopping and amenities the nearest towns are St. Austell, Bodmin and Wadebridge. At St Austell is the nearest main line around 15 mins away as well as Bodmin Parkway, (about 18 mins) rail stations offering connections to London on the Paddington line. 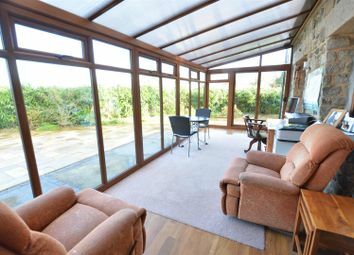 Popular and beautiful Watergate Bay is approximately 7 miles away and the Cathedral City of Truro (17 miles) boasts comprehensive shopping, commercial and educational facilities (including private schooling for all ages). Further commuting can be had at Newquey Airport with the flights to Heathrow, Spain etc. 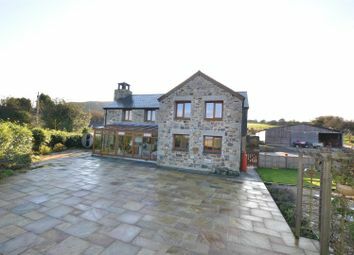 Built around 10 years ago in replacement of a former cottage with much thought put into both the external finishes of stone facing and part slate, mixing a modern interior with character features creating a rurally located equestrian and lifestyle family home. 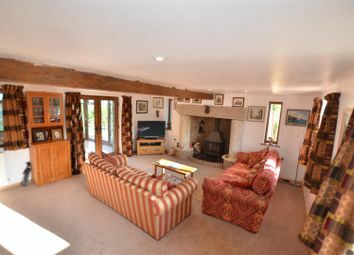 Ground floor: Triple aspect sitting room with granite and brick fireplace, two columns of solid granite either side with a further solid granite Bressumer beam over a multi fuel burner. 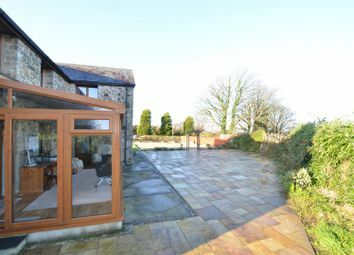 Double doors opening out to a recently added conservatory making the most of the far reaching surrounding views. 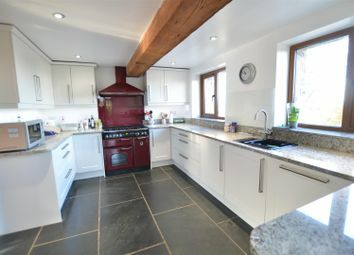 Dining room open plan to the comprehensively fitted kitchen with white fronted units, a wide range of appliances, granite worktops, range cooker (liquefied Propane Gas Fired and electric) and slate flooring. Utility room with space for washing machine and low lever unit and work top. 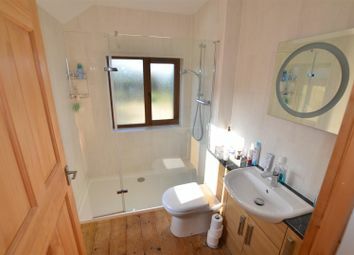 Further cloakroom and WC, wash hand basin fully tiled, chrome radiator, quality fixtures and fitting as well as a a built Airing Cupboard. 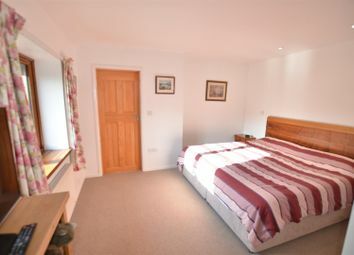 2 further bedrooms each double in size and enjoy a dual aspect over the surrounding countryside. 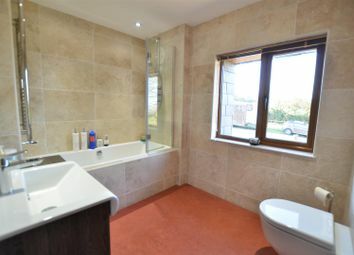 Family bathroom - fully tiled, bath with large shower screen, vanity unit with wash hand basin, chrome radiator all finished in high quality fixtures. services: Solar Panels (owned by the vendor) on the roof which are for electric and feed into the National Grid with any excess power. Private drainage. Oil central heating. Lpg gas bottles for the Cooking Range. Mains water and electric. 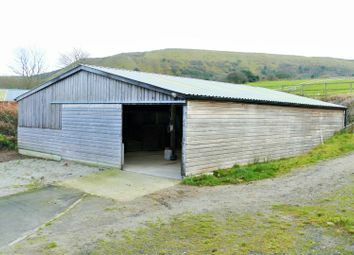 Further private water supply which is used for the horses. Disclaimer: All prospective buyers view all properties for sale with Equus International Property Ltd at their own risk and neither the Agents, Joint Agents nor the Sellers take responsibility for any damage or injury however caused to themselves or personal belongings or property. By viewing a property with Equus you accept this disclaimer. 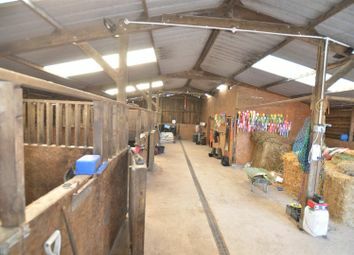 If inspecting the outbuildings, equestrian facilities or any other building within the grounds you must wear appropriate clothing and footwear and children must be either left in the car or supervised at all times by those who brought them. Livestock should not be touched and all gates left shut or closed after use. From Newquay: Proceed away from the town along Henver Road passing the bp filling station on the left hand side. Take the fourth left turn onto the A3059 signposted St. Columb Major / Newquay Airport. Continue along this road until reaching the Trekenning Roundabout. Take the third exit (straight ahead). Follow this road for approximately 3 miles. Drive under the Iron Railway Bridge. Take the next right turn for Roche. Drive into Roche and at the roundabout take the second exit (straight ahead). Upon leaving the roundabout take the first right turn. Drive along this road for approximately 1 mile eventually taking a right turn signposted Gothers. Drive along this road and you will eventually see two mill wheels on the left hand side and one is marked Ballyack Cottage. Want to know what people who know the area really think? Use the link below and see all the results for PL26 area.